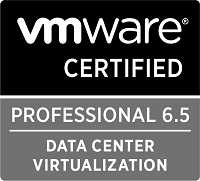 This week I’ve been playing in our vCenter lab and tested the upgrade to 6.7 U1 and also changing the deployment type to vCenter with embedded PSC. I must say that the vCenter team has done a great job on the upgrade process over the last year. 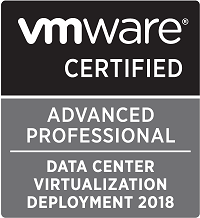 Both our migration from the Windows vCenter to the VCSA as well as the upgrade of a VCSA works well and there are lots of great documentation. Our lab deployment consists of one vCenter VCSA running 6.7 and an external PSC. Both have been migrated from a Windows vCenter and later upgraded to 6.7. With the release of 6.7 U1 and the new convergence guide for converting from an external PSC to an embedded, and with the fact that this is now the preferred deployment from VMware, we wanted to perform this process in our lab. If the above step has been completed and verified you can decommission your external PSC. In our lab environment the process was pretty straight forward and we had only the issue explained about the backup policy in the VCSA. After removing this the convergence went smoothly and completed in about 15 minutes.